The City of Carlsbad presents Epic Tween Nights: Party at the Park on Saturday, Feb. 17, from 5 to 9 p.m., at Calavera Hills Community Center. 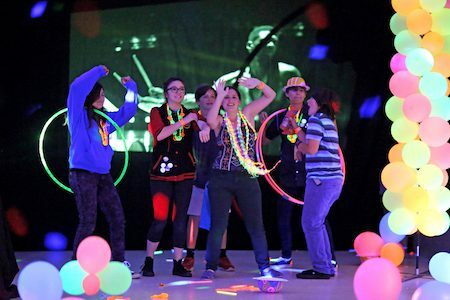 · Parents can drop off kids, ages 10 to 14, for a fun-filled night of age-appropriate activities. · Activities include a black-light dance room, a game truck with a Rock Band stage, Zorb ball races, a movie, laser tag and more. · Participants can also Instagram shots from the photo booth and compete in various contests. · Only students in sixth grade and older are allowed to attend, and participants may need to show a school ID. · City staff and U.S. Marine Corps volunteers will chaperone the event. · Food and beverages are available for purchase. · Tickets are $10 and available at the door or at www.carlsbadconnect.org under special events.